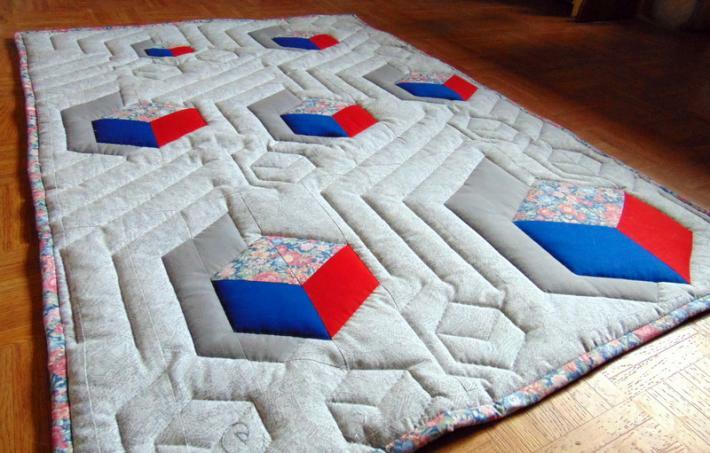 Here is an optical illusion handmade quilt entitled, Lighter Than Air. 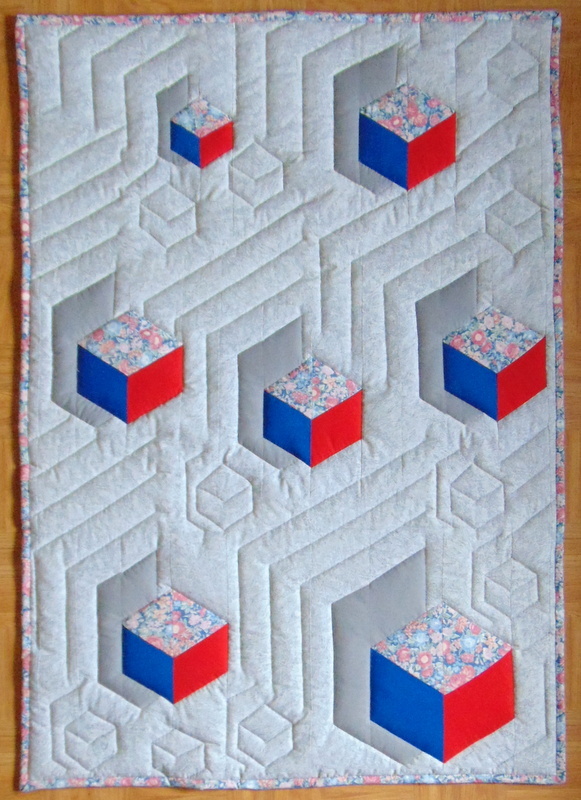 It features vibrant red and royal blue cubes with floral tops "floating" on a gray and white stucco-looking background. 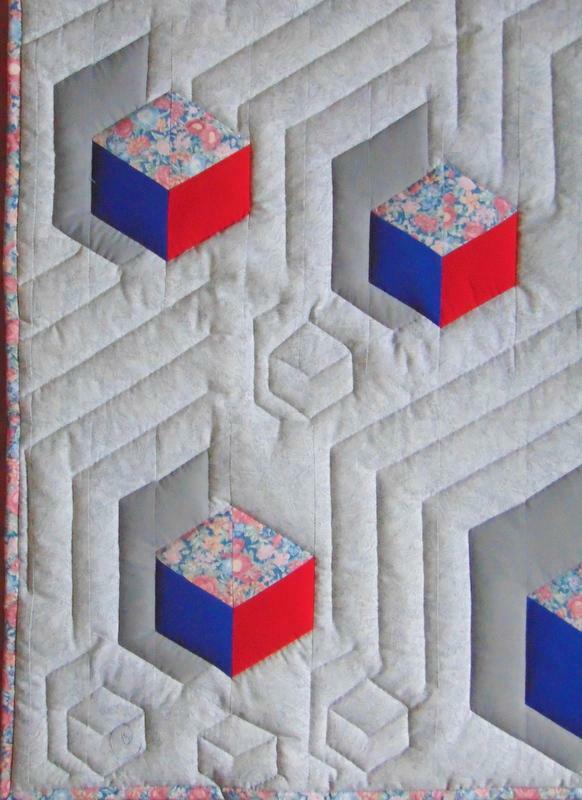 Several ghost cubes (my favorites) have been hand quilted into the design as well. All of the fabrics in this quilt are cotton or cotton blends. 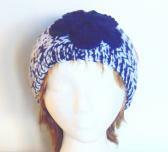 It is quilted on high-loft polyester and Dacron batting to give it excellent dimension. 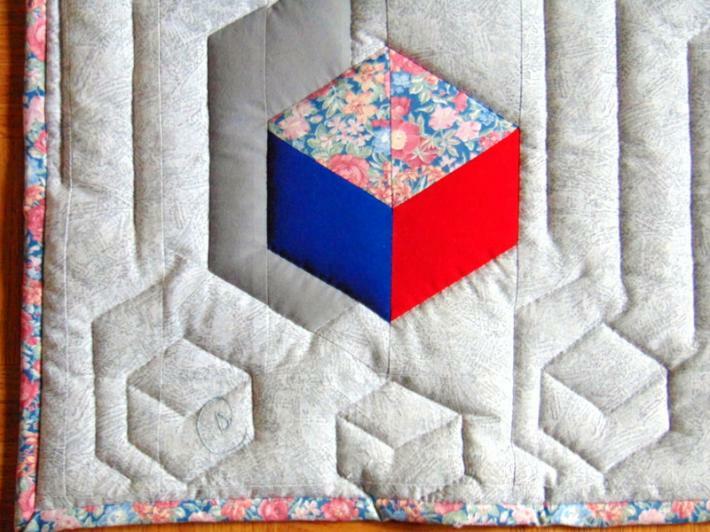 The quilt can be machine washed on delicate/cool. It is best to hang it or lay it flat to dry, but it can be thrown in the dryer on cool. The quilt measures 34.5 inches wide (87.5 cm) by 48.5 inches (123.25 cm) tall. It is just a perfect lap size. It would be a terrific crib quilt, too. It does have a sleeve for hanging if you would just like to sit back and watch the cubes float! 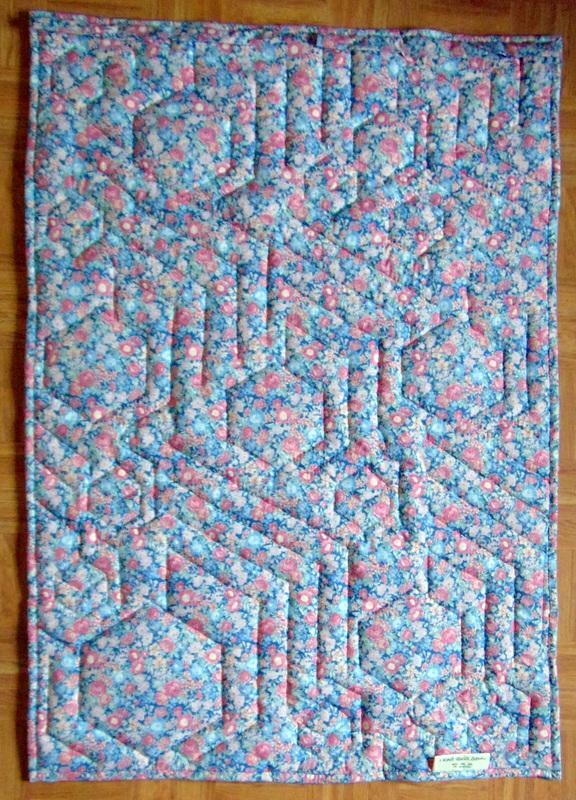 Since this quilt is uniquely my design, and was assembled, quilted, and bound by me, it is signed, dated, labeled, and tagged.